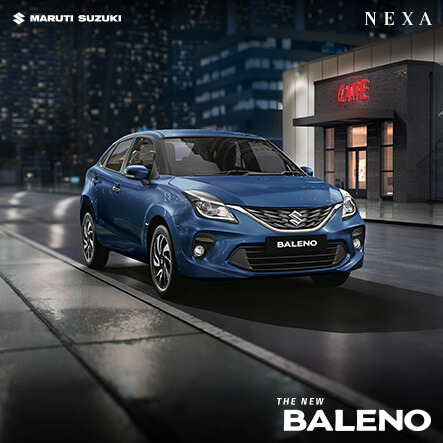 Continuing with the unconventional traits of their latest premium urban compact - Ignis, NEXA has done it again. 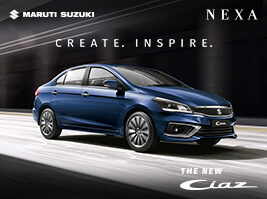 The brand has begun ‘Ignis Drive Challenge’ to deliver a ‘None of a Kind’ experience to the masses. 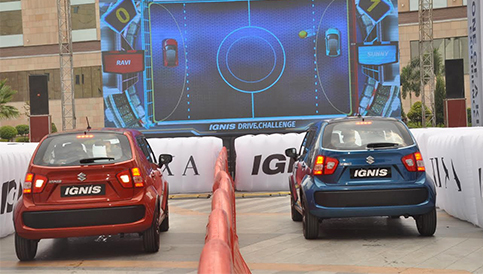 Delhi NCR witnessed a thrilling experiential test drive through gamification, where Ignis was introduced for test drives, but with a twist. Roping in a very unconventional yet fun way to interact with Ignis, NEXA designed an activity comprising of 2 AGS cars in a manner, serving as strikers to Air Hockey. 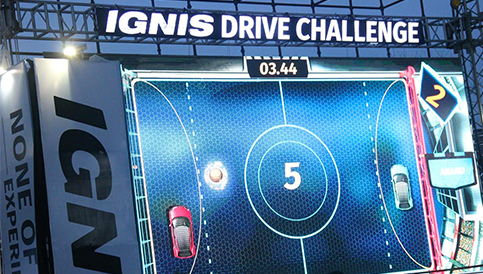 This was the biggest live game played where Ignis cars served as game controllers. Through this campaign, the contestants play the game of air hockey while sitting in the car and through dedicated sensors, the movement of the cars is tracked and processed to be incorporated in the virtual game, displayed on the screen. 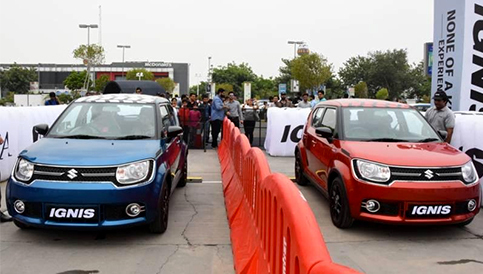 With its introduction in Delhi, ‘Ignis Drive Challenge’ has created a buzz among the masses and this innovative campaign turned into a grand success. The brand is taking this campaign to pan India in the days to come. The campaign reached its next destination, Chandigarh, on 23rd June and delivered adrenaline rush to the contestants as expected, the enthusiasm and excitement of the contestants was worth watching. 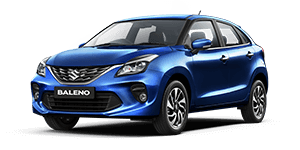 This test drive that was held in Elante Mall of Chandigarh witnessed waves of the crowd joining in to experience this None of a Kind test drive. 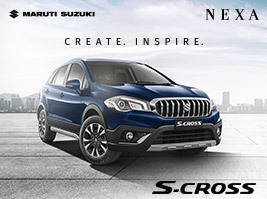 NEXA, known for its unique and out of the box ideas, is expanding the possibilities and has created a completely innovative way for people to experience Ignis. For the first time in the history of four-wheelers, the concept of test drive is modified to a gaming challenge, pushing the boundaries of the car. The contestants loved every bit of the drive, with adrenaline rushing through the blood and experiencing the quirkiness of the brand new premium urban compact. The whole idea of Ignis is unconventional and following the same tradition, ‘Ignis Drive Challenge’ was again something extraordinary and creative. This is not the first time Ignis marked its presence by being uncommon, as its launch was nothing like a regular car launch. Ignis, setting the unconventional trend, was launched publicly at an enthralling Electronic Dance and Music concert featuring AXWELL, amongst a gathering of over 5,000 millennials. 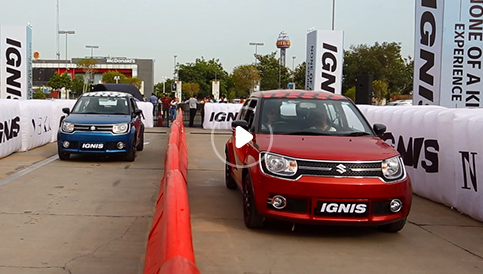 Missed getting the Ignis experience in Delhi or Chandigarh? You can still experience the thrill rushing through your veins, more cities and destinations to be revealed soon, keep an eye on the updates at our social media handles.